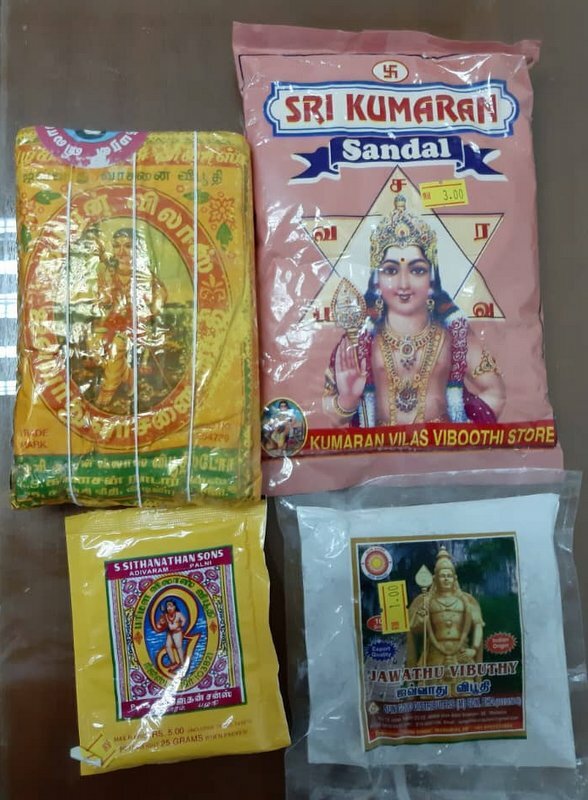 Manufacturers of religious items has been urged to stop using holy pictures of the Hindu deities as the label on their products, like camphor, incense packets, red kungumam, sandal wood powder, thiruneeru (holy ashes),oil, ghee, sambrani and many more. 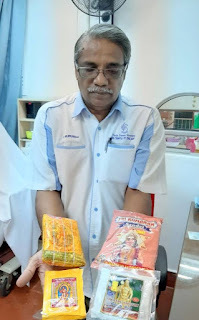 Penang Hindu Association president P. Murugiah said the manufacturers should immediately stop using pictures of Hindu deities to promote their products as it hurts the feelings of the Hindus when these packages were found thrown in dustbins after using the items. He feared these items would flood the market again during the coming Thaipusam festival. 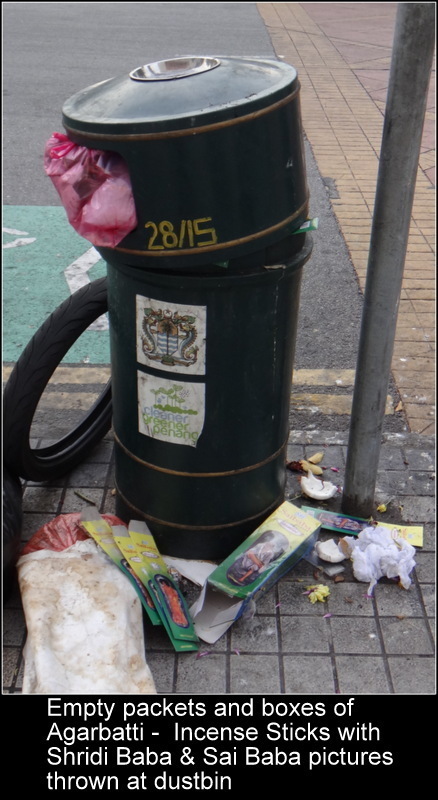 “It hurts the Hindus and being insulted whenever we come across these packages were being thrown in dustbins or found on the road sides, there were incidents where these holy images were unknowingly stepped by the people. 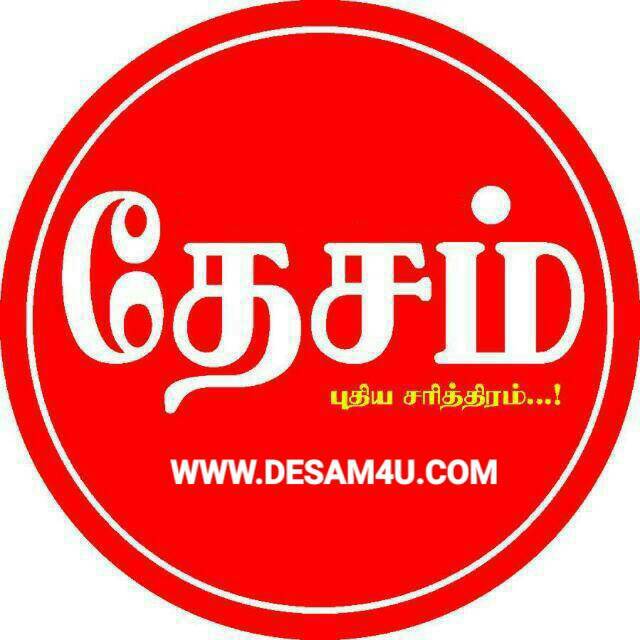 “It is the moral responsibility of the local manufacturers to identify and understand the sensitivity of the Hindus in the country to stop this irresponsible act of the some greedy businessmen who aimed to make money by ignoring the feelings of the people,” he said. 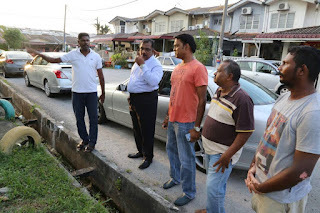 He said the PHA, has been harping on this for a long time and nothing has been done to stop this problem completely and he hoped the Pakatan Harapan government would jump into action to resolve the problem. “Some of the items are also being imported from India and we want the Indian High Commission to play their role to highlight the issue to their government and to help stop such long standing problem. 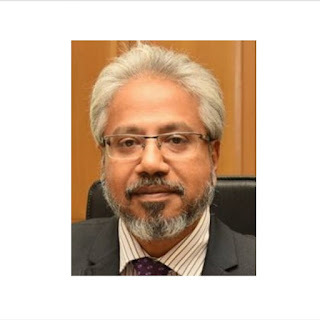 “Domestic Trade and Consumer Affairs Ministry could also play their role by acting against the local traders who manufacture and distribute such items and the Customs Department should ban the import of such items,” Murugiah said. He added several countries in Asia had imposed the ban of such items and Malaysia should also follow the government of the neighbouring countries on this issue. 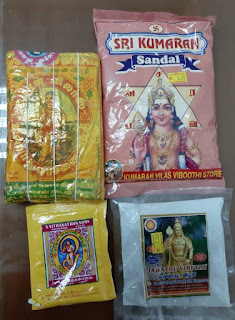 He appealed to the Hindus to stop buying these items immediately to make the manufacturers realise that the consumers would not support this anymore. “Penang Hindu Association would conduct an intensify campaign against the manufacturers by advising the Hindus to stop buying these items if the manufacturer fail to heed our call,” he added.